Can the large, Houston-based chain impress our native East Coaster? 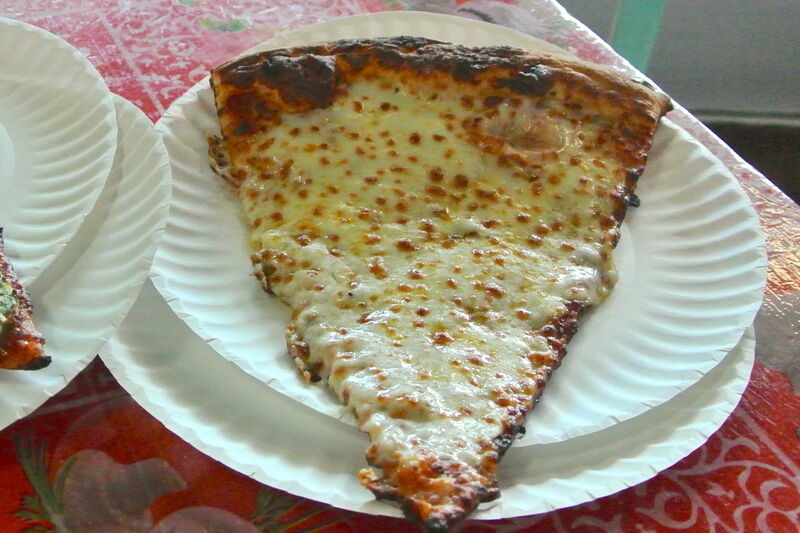 Russo's offers a big slice experience ... but at a cost. Clearly we’ve yet to establish a second tier of New York quality. But can that tier include Russo's? Full name Russo's New York Pizzeria, it's the largest pizza chain based in Houston (82nd in America, per this 2017 list from Pizza Today) with about 20 locations in the general area. The Yelp reviews for Russo's vary wildly by location (mostly between three and four stars), so it's hard to get a beat on what constitutes standard Russo's fare. Nevertheless, I had to pick one, so I chose the Russo's a Marq-E, which gets 3.5 Yelp stars. Right in the middle. I visited late at night after already filling up with restaurant food for dinner. 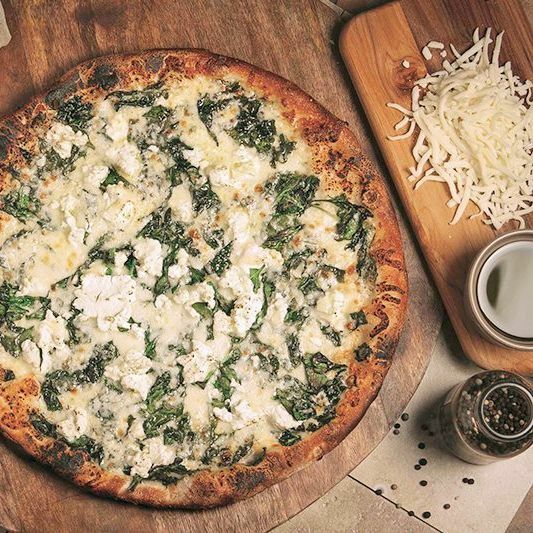 We're talking a pound of seafood here, so on one level pizza felt like a great choice—a cleansing agent, if you will. On another level, what is this life anyway? Russo's was still humming, as the remaining customers sat at their tables watching the football game on television. I ordered the cheese slice, which online was listed at $4.50 but at the store cost more than $6. I also bought a small bottle of Diet Coke (the slightly smaller-sized bottle that Diet Coke is now manufacturing), and my check was nearly $10. A slice and a Diet Coke for $10. 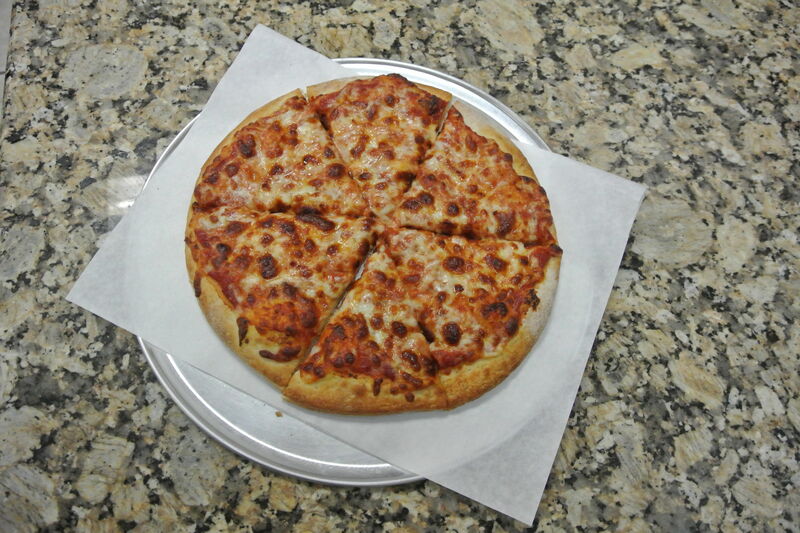 Back in my day, I could buy a plain slice and soda from Tony's Pizzeria for $2.25. Nonetheless, I do this for the people. 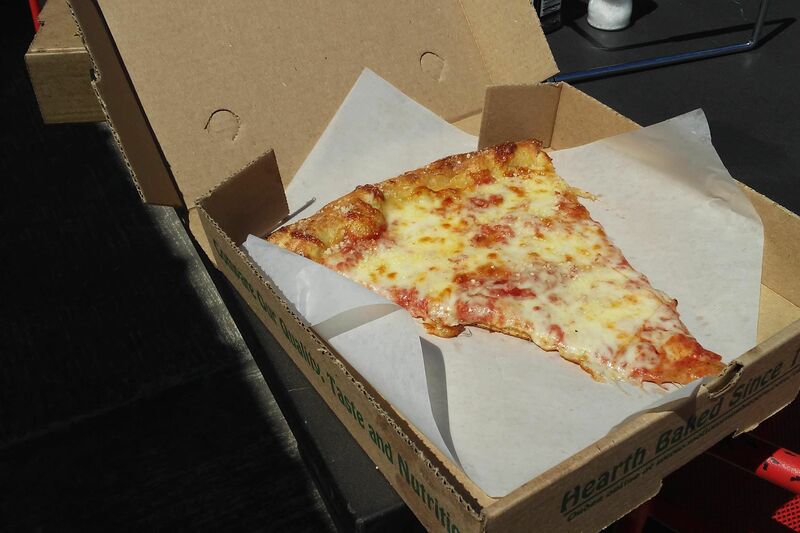 I took a couple bites of the slice, realized the seafood in my stomach was settling and the pizza was cleansing nothing, and ended my quest for the evening. 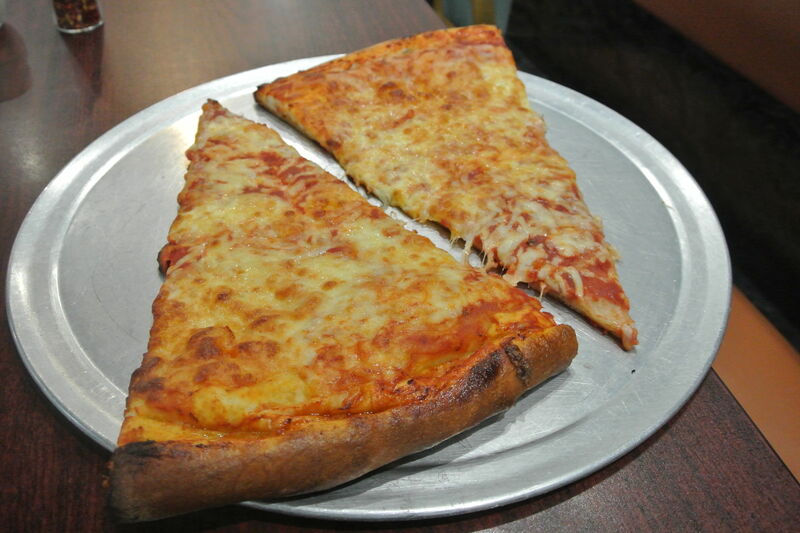 I'll give Russo's a point for achieving sturdiness despite the slice's length—it never even threatened to fall apart. Otherwise I like a cheesier slice, as I didn't get much of any mozzarella flavor here. Russo's occupies the low end of the rankings. Give me a second tier! 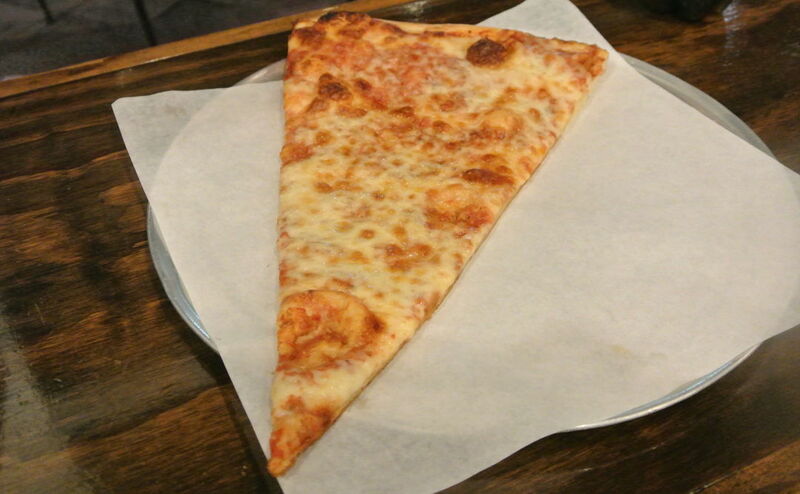 Is This Pizza Slice Too Big?